Towel, Dry bag, sunscreen protection, mosquito lotion, shade or sunglasses, camera, trekking sandals, swim wear and bring earphones (music) for the boat ride if you have one. Upon arrival in NAIA, a representative will pick you up and transfer to your accommodation. Pick up from your Hotel in Manila (pick-up defending on your flight schedule). Meet and greet upon arrival in Puerto Princesa Airport then land transfer to Port Barton. Upon arrival we will welcome you for a sunset tour transfer to Tribal Eco Resort 3 Bunuanguin Beach. We have arrange a Filipino Boodle Fight Dinner and Show. Island Hopping tour with lunch on an island and visit fishing village. After hopping transfer to tribal 4 Catalat Camp for an overnight stay sleeping tent. Trekking Sta Cruz then have lunch on the Jungle. You will have a chance to experience Tribal Archery and Paddling Boat. Dinner and Stay in Tribal 3. After Breakfast you will board a boat going to San Vicente Long Beach. Visit Waterfall Nikko Amazing Falls. Back and Dinner at Tribal 3. Yoga on an island (morning and afternoon). Afternoon in Port Barton Free time. Transfer via boat to Tribal 3 Bunuanguin Beach. Breakfast then transfer via air-conditioned van to El Nido Corong Corong. Check in at El Nido Corong Corong or Town. After breakfast meet your local guide for jungle trekking to Catabalan Falls. 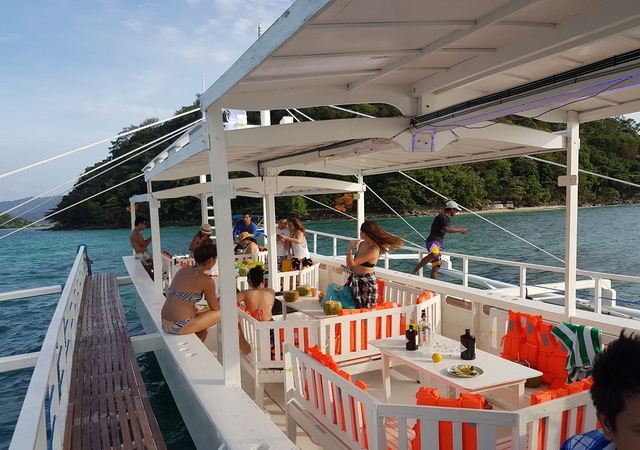 Pick up at the hotel by 0800H for Island hopping tour A with lunch, is one of the most popular tours in Bacuit Archipelago due to its breathtaking views, beautiful lagoons and pristine beaches. Swim or Kayak through the Small Lagoon, view the high cliffs of Big Lagoon, see the beauty of Secret Lagoon and enjoy the underwater corals and fishes at Simezu Island. Tour A’s is at 7 Commando beach where you can chill with fresh coconut juice. After the tour you will be back at your hotel around 1600H. Overnight El Nido Corong Corong or Town.